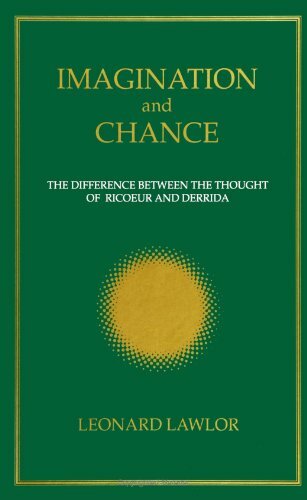 Imagination and Chance illuminates the different philosophical projects that animate Ricoeur’s hermeneutics and Derrida’s deconstruction. Basic concepts in Ricouer such as discourse, metaphor and symbol, and tradition are examined, and texts by Derrida including “White Mythology,” Introduction to Husserl’s The Origin of Geometry, and “The Double Session” are analyzed. The book also includes a previously untranslated round table discussion between Ricoeur and Derrida. Leonard Lawlor is Sparks Professor of Philosophy at Penn State University.